MediMiss Advice Exercise healthy tips Physical exercise weight gain Everyone talks about weight loss, but what about those who are desperate to gain a few kilos? 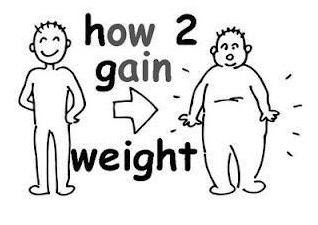 Everyone talks about weight loss, but what about those who are desperate to gain a few kilos? Here are simple tips to gain weight without any kind of surgery or painful procedure. Many girls make this mistake of eating lots of unhealthy and junk food thinking that it willmake them fat. However what they don’t realize is that even if it works, you will have unhealthy fat in your body. If you want to put on weight in a healthy way, stick to healthy food like rice, salmon, tuna, lean meat and milk. Increase your calorie intake. Count thenumber of calories you intake daily. Yes, water is very important for your body to keep it hydrated. However if you drink about 8 to 10 glasses of water daily, itis more than enough. The other times try to substitute water for milkshakes, milk and fruit juices to quench your thirst. Stress apart for hair andskin problems, also causes drastic loss in weight. Hence avoid taking unnecessary stress. Keep yourself occupied doing something or the other that you love. Hang out with friends, cook all your favorite foods, dance like no one’s watching you and sing under the shower to de-stress yourself. Undertake healthy activities like yoga and meditation to shrug away any negativity around you. Don’t simply do the same kind of exercise that your friends follow.Remember, your body is different and so is your what you want to achieve. So see that youdo the right exercises that help you in increase the mass of your body. You can hirea personal instructor to train you into doing theexercises that are right for you.